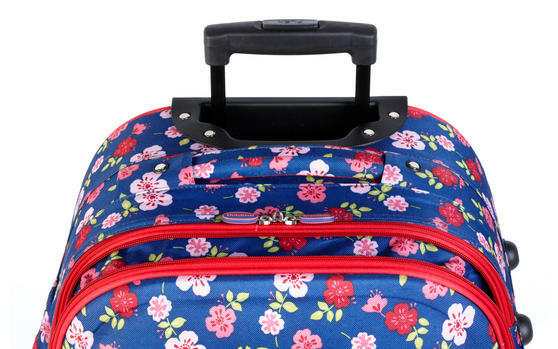 Made from 600D polyester with PVC backing, this unique 22” Eva Ditsy Floral Print Suitcase combines style and durability – for luggage you can always rely on. 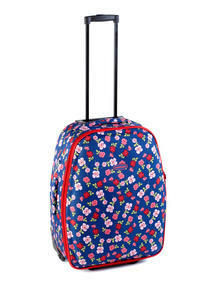 With a retractable top handle and two roller wheels, the case effortlessly rolls through the airport. 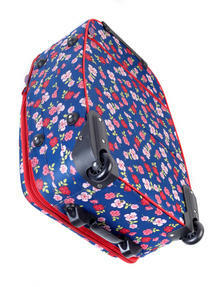 With padded top and side fabric handles the case is also suitable for lifting up into cars or shelving for easy storage. 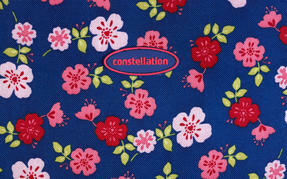 This fantastic Constellation suitcase is designed with practicality and efficiency for journeys you can truly enjoy. Stand out from the crowd with this unique Constellation 22” Floral Print Suitcase – designed to be durable, long-lasting and reliable. 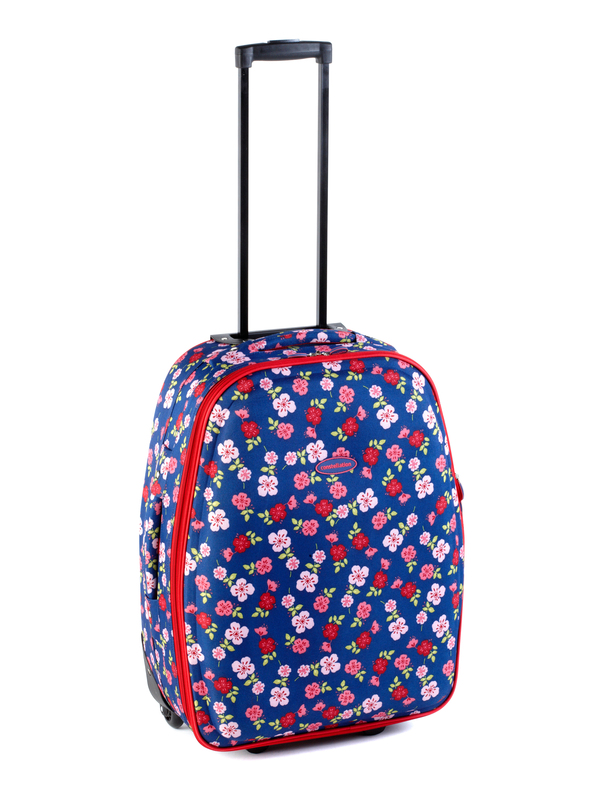 Measuring 61 x 45.5 x 26cm, the practical and compact case also has back pocket expanders so you can maximise its packing capacity. With a retractable top handle and two smooth roller wheels, the case provides easy manoeuvrability through busy airports. 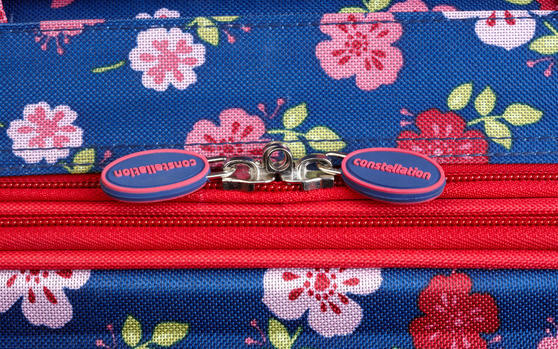 Top and side fabric handles make for easy lifting, while the unique design makes the case wonderfully easy to spot on the conveyor. Made from 600D polyester with a PVC backing, the materials provide rigidity and strength while keeping the case delightfully light.